The 2018 NHL Draft is just around the corner, and it’s time for some predictions. There are plenty of mock drafts going around, and there are going to be a ton of interesting stories to follow in the coming days. 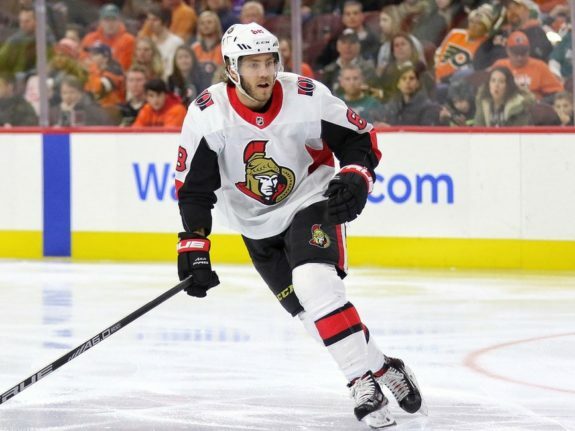 The Ottawa Senators, for example, have been proactive in getting their rebuild underway, trading Mike Hoffman ahead of the draft and that might not be the only move they make. There’s also going to be some movement on the draft board as teams with multiple picks could move up, down, or entirely out of the first round if they can get a player in return who can help them right now. Then there’s the John Tavares situation on Long Island and how Lou Lamoriello navigates those waters. He still needs a coach and a goaltender but will he fill one of those needs on draft weekend? Here are a handful of predictions ahead of the NHL draft weekend. 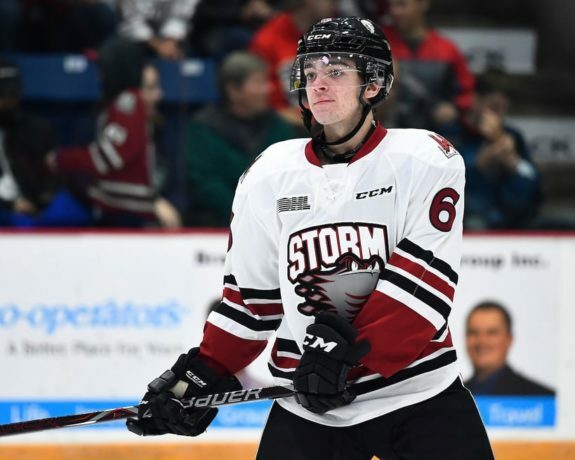 Ryan Merkley is one of the most polarizing draft-eligible prospects of the 2018 class. At various points in the last two years, Merkley has been ranked anywhere from the top 10 to the second round. His offensive skills are undeniable, but it’s all the other baggage that will make him a wild card on draft weekend. My prediction? If Merkley does end up going in the first round, it’ll be to a team with multiple first round picks. Logically, teams do not want to miss on their first-round pick, let alone take a wild swing on a player that has boom or bust potential. This is especially true if you have just one pick in the top 31. If you have two, even three selections, and you’re happy with the first pick, you can take a chance or allow your scouts a passion pick. That’s why Merkley going to a team with multiple picks in round one makes sense. Those teams are: the Chicago Blackhawks (8th, 27th), Detroit Red Wings (6th, 30th), New York Islanders (11th, 12th), New York Rangers (9th, 26th, 28th), Ottawa Senators (4th, 22nd), and Philadelphia Flyers (14th, 19th). If Merkley goes in the first round, it’ll likely be between 20-31. In that case, one of the Blackhawks, Rangers, Red Wings, or Senators (if they don’t give the Colorado Avalanche the 4th pick this year) could call his name on Day One of the draft. The Blackhawks could take a run at John Tavares. A one-two punch at center with Tavares and Jonathan Toews is a compelling thought, along with Patrick Kane on the wing. To do that, Hawks GM Stan Bowman is going to have to find a taker for Marian Hossa’s contract. Hossa, 39, retired due to a skin condition but the Blackhawks still carry the cost of $5.275 million for the next three years. It’s possible, and necessary if they want to make a major free agent signing on July 1, that they find someone to take Hossa’s cap hit off their hands. There are a few teams that’ll likely be outside the playoff picture next season that have a ton of cap space and would be interested in obtaining a tangible asset from the Blackhawks. The Islanders, Rangers, Arizona Coyotes, Buffalo Sabres, and Carolina Hurricanes come to mind. Depending on who you talk to, Jesperi Kotkaniemi is considered an off the board pick (at least as of a few weeks ago). Most mock drafts had the top three picks listed as Rasmus Dahlin, Andrei Svechnikov, and then Filip Zadina, in that order. Kotkaniemi has shot up the draft rankings, and the Montreal Canadiens are in desperate need of a No. 1 center. The 2018 class has a lot of talent, but it’s not very deep when it comes to centers. Kotkaniemi, Barrett Hayton, and Joe Veleno are the three best available. Kotkaniemi has shown that he might have the highest upside, and an impressive performance at the U-18’s has pushed him up draft rankings. The Canadiens will take the Finnish forward at No. 3. 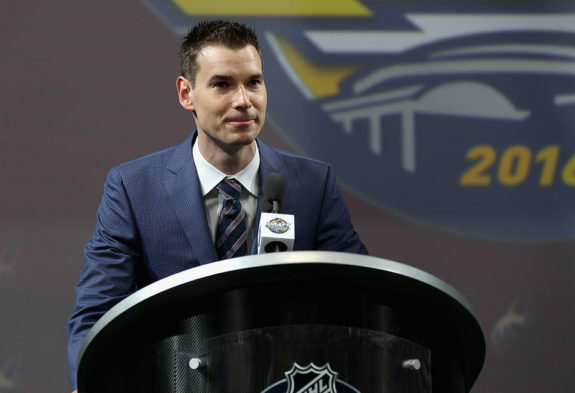 Arizona Coyotes GM John Chayka holds the 5th overall pick. He doesn’t pick again until the second round at 55th. That will change draft weekend. Chayka will find a way to land the Coyotes a second first-round selection. One of the ways he might do that is by taking a bad contract off another GM’s ledger. 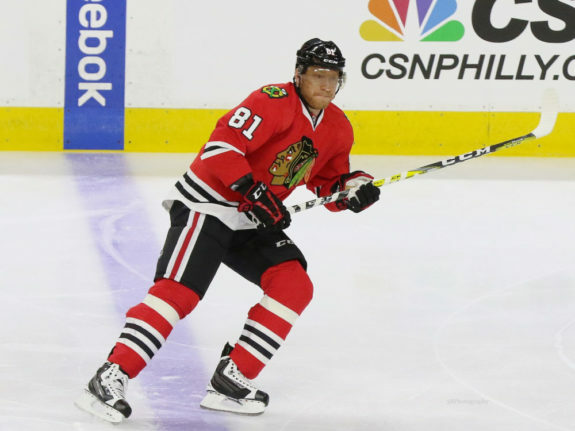 There’s Hossa’s contract as mentioned, but that’s not the only deal that could be made. Chayka has just over $18 million in cap space to work with. Maybe the Coyotes could take a buy out candidate in exchange for a pick. Chayka and the Coyotes have done it before and you can bet they’ll do it again. Maybe they’ll be the team that takes the Bobby Ryan contract off the Senators’ hands? The New York Islanders hold the 11th and 12th overall selections, and they need a goaltender. Lou Lamoriello is now running the show, and every time he’s needed a goaltender he’s found one. With the New Jersey Devils he drafted Martin Brodeur and acquired Cory Schneider before Brodeur’s last year. When he went to the Toronto Maple Leafs, he found a way to snag Frederik Andersen. 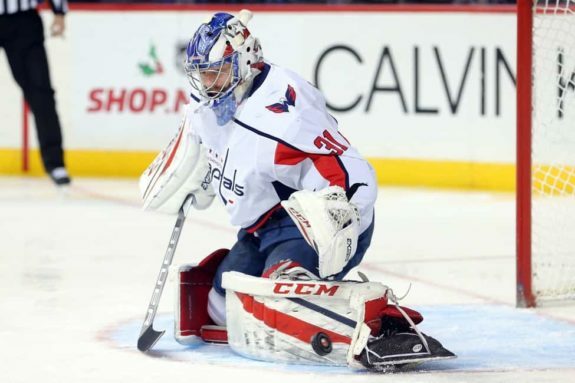 Now that he’s with the Islanders, he’ll find a way to land another keeper and this time it’ll be Philipp Grubauer from the Washington Capitals. He’s a restricted free agent, and the Caps can spare him to spend dollars elsewhere. What if Lamoriello packaged the 12th and the 43rd to the Capitals in exchange for Grubauer and the 93rd or 124th pick? Would that be fair? After Dahlin, there are four talented defensemen available that should go within the top ten picks. Adam Boqvist, Quinn Hughes, Evan Bouchard, and Noah Dobson all have varying offensive elements to their game and all of them (Hughes excluded) are a right-shot defenseman that can play the right side. The Oilers have a glaring need for a right shot, puck-moving defenseman that can help their power play. It’s almost as if logic is knocking at Oilers GM Peter Chiarelli’s door here. The draft order will shake out in some way shape or form, and one of Boqvist, Bouchard, or Dobson will be around when Edmonton gets to the podium. They’ll take their right-handed d-man and run. 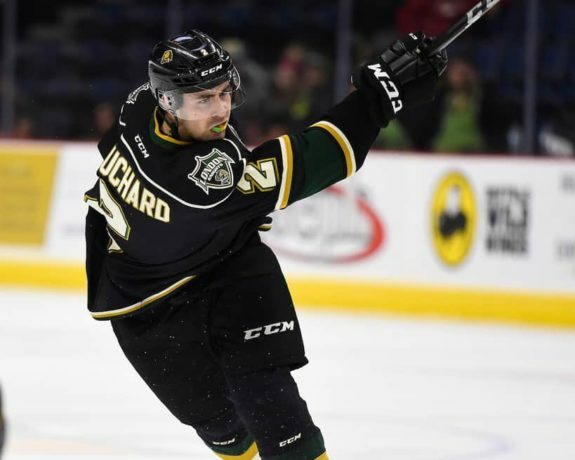 A betting man might even say Evan Bouchard will be the guy. No team has more selections in the first round than the New York Rangers. 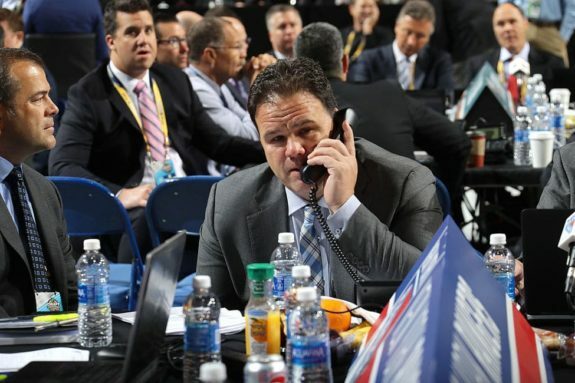 Their GM Jeff Gorton is gearing up for a rebuild and has an excellent opportunity to move two of his later selections to advance up the draft order. I’m predicting it won’t happen. The Rangers have the 9th, 26th, and 28th overall picks and they have a prime chance to add three high-caliber prospects. Last year Gorton added some highly touted prospects in Lias Andersson (7th), and Filip Chytil (21st). This year’s Top 10 selection could land the Rangers a bonafide goal-scorer like Oliver Wahlstrom, or one of the four top defenders after Dahlin. 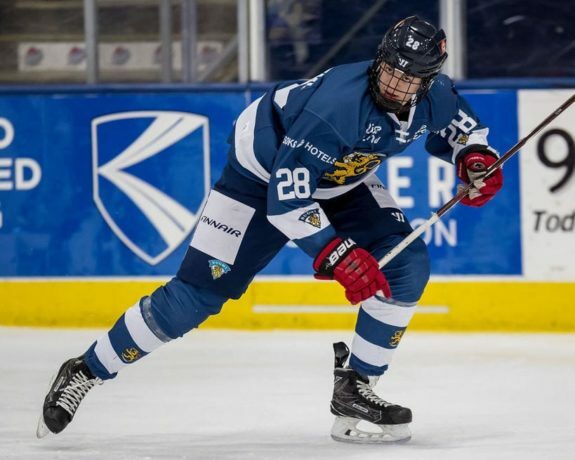 Late in the first-round, there are potential steals like Dominik Bokk, Martin Kaut, K’Andre Miller, Rasmus Kupari, Serron Noel, and the aforementioned Merkley. Why walk away with just one or two prospects when you can walk away with three solid picks? New York will continue restocking their prospect cupboard. They’ve also got two second-round picks (39th, 48th), and two third-round picks (70th, 88th) to give them seven picks within the Top 88 picks in the draft. Earlier this week I predicted that the Senators would trade Mike Hoffman, Erik Karlsson, and their 2018 first round pick (fourth overall) by the end of the week. The Senators have already traded Hoffman, and now the attention turns to Karlsson and the fourth overall pick. It’s not an enviable position to be in for general manager Pierre Dorion. He’s between a rock and a hard place in having to choose between which selection he gives to the Avalanche as compensation from the Matt Duchene trade. The Senators will likely be worse next year and have another shot at the first overall pick. Would you rather pass on a Brady Tkachuk, Noah Dobson, or another talented defenseman this year, or forfeit a potential opportunity to draft an elite-level talent like Jack Hughes in 2019? This is also their best opportunity to trade their captain from a position of strength. 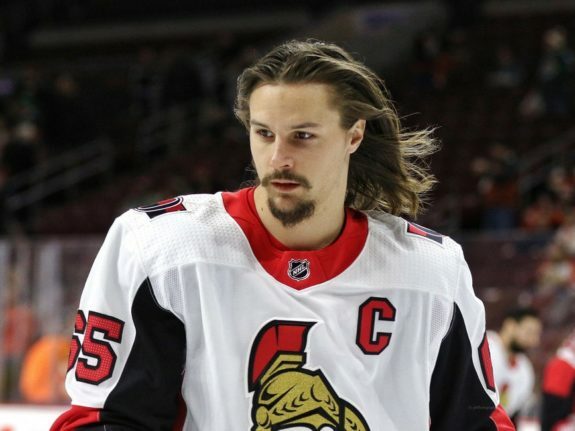 Karlsson, 28, has one year left on his contract at $6.5 million and will be an unrestricted free agent (UFA) next summer. Dealing him now, and allowing the receiving team to nail down an extension with Karlsson, would maximize the value Ottawa could get for him. It’s possible a team with tons of cap space, like the Vegas Golden Knights, re-enters the fray and lands Karlsson. Vegas came close to landing him at the trade deadline before making it to the Stanley Cup Final. One team that likely won’t get him though is the Oilers who are rumored to be on his no-trade list.